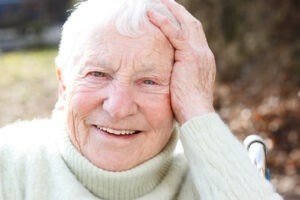 Florida First Senior Home Care » What is Home Care? 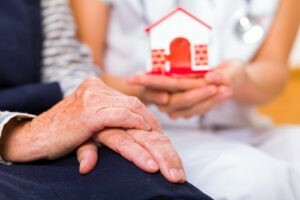 What are In Home Care Services? With the majority of aging seniors wishing to live out their final years of life at home, in home care services have become a growing option in the last few decades. Home care is an affordable and dignified option to elderly, post surgery, chronic condition, and spe cial needs care. Instead of needs being met within an assisted living facility or hospital, elderly individuals can be cared for in their home by trained and certified aids or provided medical attention by a registered nurse. Other alternatives require your loved one to move from home, receive care from multiple individuals and have limited access to family support. With home care, your loved one can be taken care of wherever they are by a trusted assistant; whether at home, assisted living facility, hospital, rehabilitation facility, or anywhere needed. Professional in-home caregivers referred by Florida First Senior Home Care can provide a number of services to ensure that your loved one is comfortable, safe, and treated with compassion. Not only is home care an option for aging seniors that require care from at home, home care is also a great option for individuals that need to recover from surgery, have special needs, or live with chronic conditions. Caregivers are available for both long-term and short-term home care engagements. So, whether you need help for a few short months or years to come, you have the option to have your loved one’s needs met from home. Nursing Care: For the loved ones that have a daily medication regimen, skilled aides can help with daily medication management. Aids are also trained in dressing wounds and other first aid requirements in case of emergency. Additionally, Florida First Senior Home Care offers referrals of RNs and LPNs on an hourly basis for medical assessments and care. NonMedical Care: Caregivers can offer many different helpful services like help with light housework, meal preparation, transportation, bathing, dressing, walking, feeding, using the restroom, transferring, and more. Not only can in-home caregivers provide this necessary help whenever you need, but they can also offer your loved one companionship they would not have otherwise.